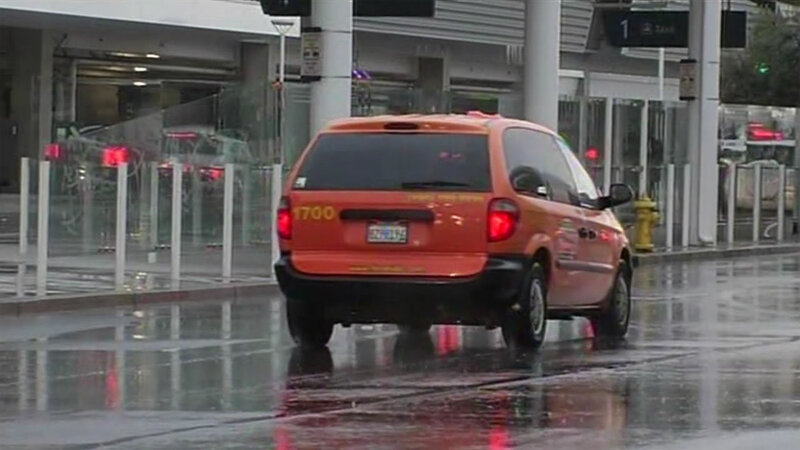 SAN JOSE, Calif. (KGO) -- If you're flying into Mineta San Jose International Airport on Monday, don't count on a cab to pick you up. Airport officials say taxi drivers are on strike. Cab drivers are refusing to stop for passengers. Instead, they're looping around the airport, honking their horns to protest ridesharing companies like Uber and Lyft. The city council is set to consider eliminating fingerprint requirements and implementing random monthly audits to review identities and criminal history. "We just got a flight in and landed a few minutes ago and realized the taxis are on strike. So we are trying to figure out how we are going to get to work this morning and since it's raining, it makes things a little more complicated," passenger Carrie Bobier-Tiu said. The airport says it's working on minimizing the impact by calling on door-to-door shuttle services to pick up passengers.